Israeli soldiers invaded, earlier Sunday, Hebron city, and near by Yatta town, in the southern part of the occupied West Bank, searched homes, and summoned a former political prisoner for interrogation. 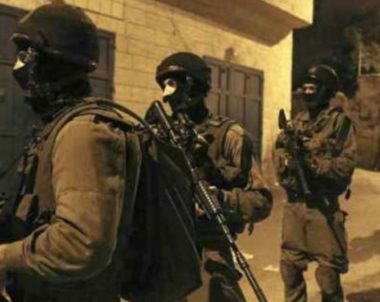 Media sources said the soldiers violently searched homes in Hebron city, and interrogated several Palestinians before summing a former political prisoner, identified as Odai Sharabati, for interrogation in Etzion military base and security center, north of Hebron. They added that the soldiers also invaded Yatta town, south of Hebron, and searched the homes of Mohammad Hussein al-Mahaina. In addition, the soldiers installed roadblocks in several areas in the Hebron governorate, stopped and searched many cars and interrogated the residents while inspecting their ID cards.